Recently, I was making a recipe for a vegan tuna salad (chickpeas, yo), and the recipe called for these stupid tiny pickles that I don’t have. 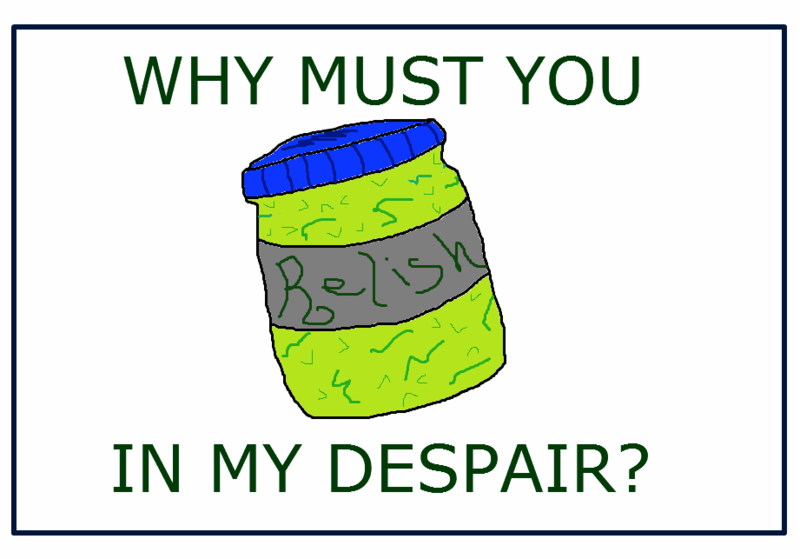 Because who just has pickles? If you do have a jar of pickles, it’s probably bread and butter pickles leftover from a barbecue held in honor of your eighth birthday. So I went to the grocery store, pretty much just to buy a jar of these specific tiny pickles. Naturally, they don’t come in small jars–they come in jars the size of my face. When I got home and started making the recipe, it called for chopping up, like, six of the tiny pickles from this massive jar, and tossing them in the tuna salad.